If you need an air conditioning installation in Boca Raton, Boynton Beach, Deerfield Beach, Delray Beach, Coral Springs, or Coconut Creek, Florida, you have found the ideal resource. 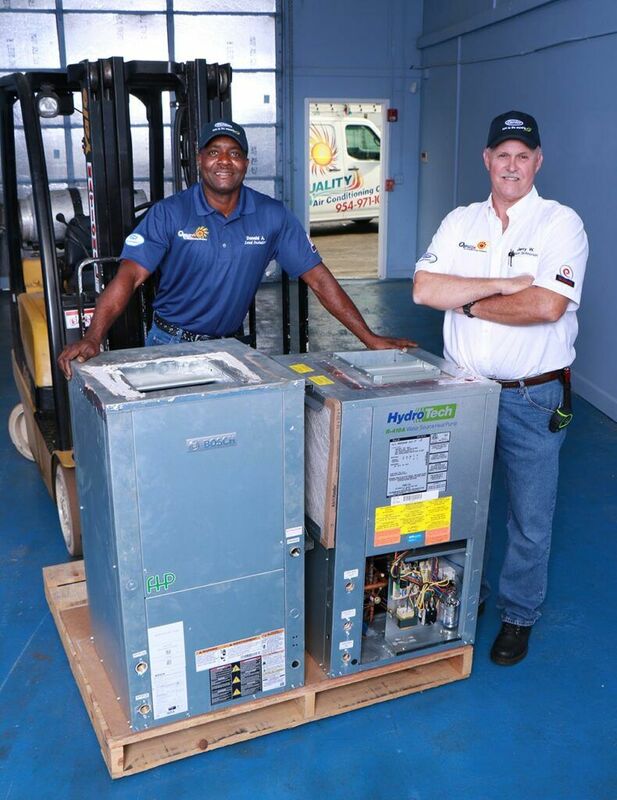 Quality Air Conditioning Company has been setting the standard for top quality air conditioning installation work in Broward and south Palm Beach counties for well over four decades and counting. When you have been able to withstand the test of time in this manner, you must be doing something right, and we continue to grow through the many referrals that we receive. Our Pompano Beach-Boca Raton-Fort Lauderdale air conditioning installation technicians are highly trained professionals that take a great deal of pride in the work that they do. The products that we sell are sourced from the leading manufacturers in the industry, and they are all highly energy-efficient. When you replace an old, outdated dinosaur with a brand-new, state-of-the-art system, there will be a certain cost involved. However, you can look at it as an investment rather than an expense. Your cooling costs will definitely go down considerably, and this will offset the cost of the air conditioning installation. You also increase the value of your home when you upgrade your AC system. We definitely have you covered if you need a residential air conditioning installation in Boyton Beach, Margate, Pompano Beach, or any of the other cities that we serve. At the same time, we also cater to members of the local business community. Commercial air conditioning installations are another area of expertise for our company. No job is too large or complicated for our highly skilled commercial air conditioning installation technicians, and we work efficiently, so the disruptions will be minimal. Contact Quality Air Conditioning Company Right Now! Over the many years that we have been in business, we have always prioritized the total customer experience. 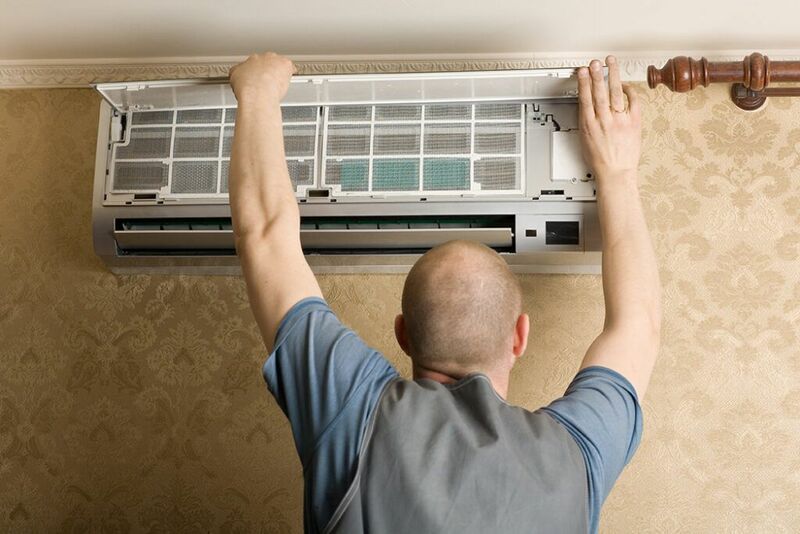 We want to be your air conditioning installation and AC repair company for life, so you can rest assured that you will receive attentive, personalized service every step of the way when you connect with our company. If you would like to discuss your needs with one of our Fort Lauderdale-Boca Raton-Delray Beach air conditioning installation consultants, we can be reached by phone at 954-971-1000 or 954-830-7828. Our toll-free number is 800-649-5415, and you also have the option of sending us a message through our contact page. *Financing offer subject to credit approval. Some restrictions apply. Ask for details. Air Conditioning Service Plans & HVAC Service Contracts serving Boca Raton, Boynton Beach, Coral Springs, Deerfield Beach, Parkland and Surrounding Areas.